Container Management & Orchestration - Docker Swarm,Mesosphere Marathon, or Kubernetes. As I have quickly learned with using Docker and containers in general that the management and architecture/planning of said containers requires a whole nother level of knowledge and thinking. While it's super fast and easy to do a docker run hello-world, it quickly becomes apparent that for any scaling, container management, production deploys will require you to use some sort of container orchestration tool. HPE put out a pretty solid article on the Big 3 - Docker Swarm, Mesosphere Marathon, and Kubernetes. You can read the article here. It's well written and goes into some of the history of orchestration as well as some basic pros and cons of each platform. I'm currently digging into Kubernetes and Swarm for some of our testing/production stuff. I'll post my thoughts as I get deeper into this world. Container orchestration is very cool and for anyone wanting to get better at using containers (and DevOps in general) you'll have to learn one of these stacks eventually. It really helps to gather all of those loose ends and puts them under one main umbrella for management and scalability. 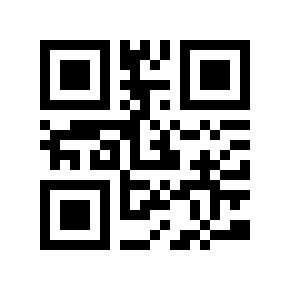 QR Code Generator in Docker. Go ahead and scan it. Nothing bad will happen. You should see some text that says "Docker rocks!" That's how I feel about Docker today. Well, I feel that about Docker pretty much everyday. Anyways, I digress. I know QR codes aren't the hot stuff they were a few years ago but they do have their place and are still used quite a bit. In my company we use QR codes for clients projects and printed items (think menus and such). So I'm tasked to generate those QR codes. I have been doing this for a few years now and realized that all the software I have running to build QR codes is on my MBP. It was a bit of a pain to get it going initially and if I'm not in the office and someone needs to generate a QR code then what will they do? This was a great exercise on building out a Dockerfile from scratch, adding the necessary packages (in this case Python, pip, etc.) and then pushing it to Git Hub and watching Docker Hub do an automated build off of the source. Get the image here (Docker Hub) and see how I made it here (Git Hub). I'm fairly new to the Docker scene. I've had an account on Docker.com since June of 2014 but haven't really taken much time to dig into it until 2016. Man, that ride in 2016 though! Talk about going from 0 to 100 MPH! Docker went from being a fringe technology that might be useful in our environment to something that is quickly becoming mission critical. When I first looked into Docker way back in 2014 it was quite young and immature (in my mind) and it didn't fit our needs at the time. So I tabled the idea of using Docker in our Dev/DevOps process but didn't stay out of it completely and kept reading about it and watching to see where it was going. Then 2016 hit and I decided to jump back on it and see how it has matured since 2014. I quickly started consuming anything and everything Docker-related: Blogs, newsletters, IRC, Reddit, Twitter, YouTube, Pluralsight, etc. You name it I was reading/watching/listening all things Docker. By now (February 2017) I have 4 UAT/Production-type containers running and am working hard at trying to Docker more things. I know that's not much in the big scheme of things (I told you I'm still fairly new at this) but I'm excited to expand this and changing how we build and deploy applications. Kudos to Nigel (@nigelpoulton) and his excellent Docker tutorials on Pluralsight, the Docker sub-reddit, and of course #docker on IRC. Here's to a 2017 filled with more Docker! So if you like blowing up spaceships or in my case being blown up then you need to play some EVE. Normally if you go to their site you can get a 14-day trial but if you click a referral link you can get a 21-day trial. Go sign up and play. You'll thank me later. What other game can you see a massive ship get decimated in 1 blow? Yeah, only EVE. 2014 Update - New site is up: TheDailyCent.com! Not much going on besides work and life. Working on a personal finance blog (again) - www.thedailycent.com. Been happy so far and have put up a few articles and thoughts from my perspective of personal finance, debt, etc. So if you're looking to buy a car with cash or want to compare the Dave Ramsey Baby Steps to Crown's Money Map then head on over!